WARKIN EQUIPMENTS PVT LTD is a reliable name when it comes to Manufacturing and Exporting excellent quality Industrial Coolers. 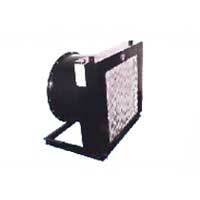 Customers can avail diverse variants of Industrial Coolers from us at affordable prices. The demand for the varied range of Industrial Coolers offered by us is also very high in the domestic and international market. We have also received appreciation from the clients for the smooth functioning and long performing life of the Industrial Coolers.